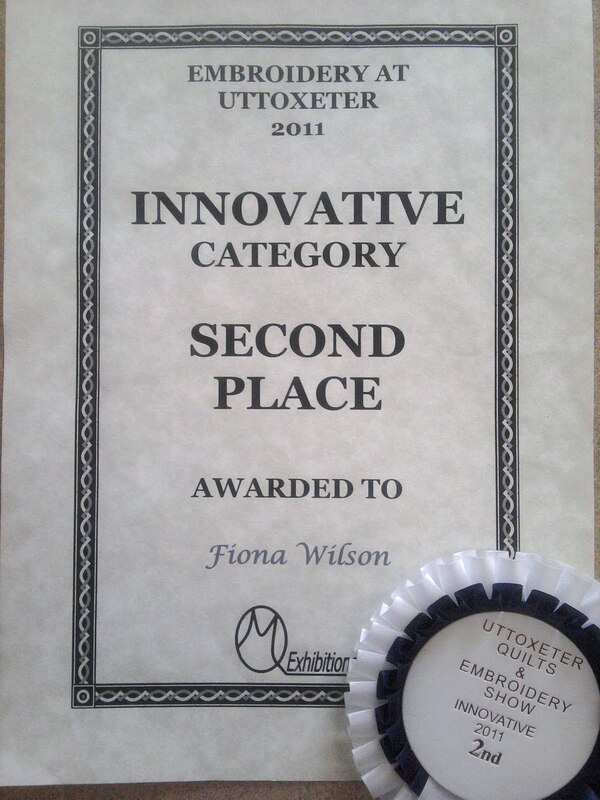 Exciting news - I was awarded 2nd place at the Uttoxeter Quilt and Embroidery Show in the Innovative Embroidery Category. 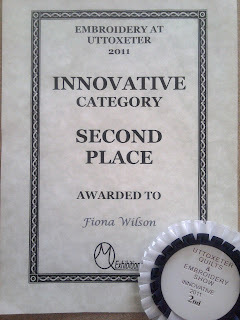 A good result for Radiant Works, as Dionne Swift, my neighbour in the studios got first prize. Always worth entering a competition, so get your application for the Festival of Quilts filled in - I am doing mine now.